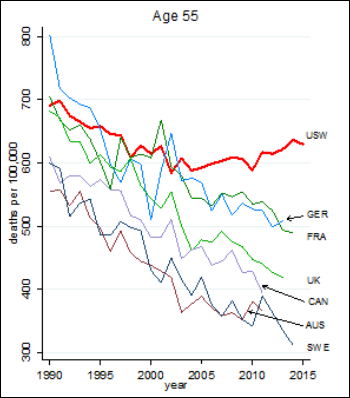 In contrast, mortality rates in Europe are going down overall, decreasing even more rapidly for those without higher education. The authors note a startling statistic – whites aged 50-54 had a 30 percent lower mortality rate than blacks in 1999, but the white mortality rate is now 30 percent higher. It also notes that overprescribing of opioids for pain has made things much worse. People will be less-healthy at age 65 than those who preceded them, which has significant implications for Medicare. From If You Can’t Spell It: “Re: Smart Source press release. Misspelling HIPAA doesn’t give me the warm and fuzzies about my data being protected.” I’m thinking about trademarking “HIPPA” and printing off standard Office Depot certificate blanks with the names of companies who can then brag that they are “HIPPA compliant” without really doing anything more than sending me a check. Someone posted on Facebook that their kid pointed out that SNOMED spelled backwards is DEMONS, which I hadn’t noticed. This week on HIStalk Practice: RevMD opens first office in Puerto Rico. Blockit raises seed funding for appointment scheduling tech. The LA County Dept. of Health Services selects care coordination software from Eccovia Solutions. Navigating Cancer adds virtual consult capabilities. Mobile health holds promise for pediatric healthcare interventions. Biotricity CEO Waqaas Al-Siddiq explains how AI will soon disrupt the traditional physician practice. GE Healthcare announces plans to double its engineering workforce. Salus Telehealth offers free virtual grief counseling to military family members. Several dozen employees sue Merion Matters, the company that publishes the Advance-branded healthcare magazines (Advance for Health Information Professionals, Advance for Nurses, etc. ), claiming they were not paid properly and that the company didn’t make contributions to their health plan. Glassdoor reviews are scathing, with some indicating that the company has closed, which may be why their tweeting stopped at the end of February. They used to have a health IT publication called Advance for Health Information Executives, but shut that down in 2010. Google-stalking suggests that the couple who own the business have some nice houses – a 14,000 square foot one in Malvern, PA and a $4 million oceanfront spread in New Jersey, although they sold their $2 million Florida condo a couple of years ago. Theranos will give its investors more stock if they promise not to sue the company or CEO Elizabeth Holmes, with the shares coming from the personal holdings of Holmes, who would then cease to be the majority shareholder. The company will also buy back Rupert Murdoch’s shares for which he paid $125 million in 2015 for $1, apparently at his request so he can take a tax-saving loss in the absence of any other buyer for his stake. GE will invest $500 million over the next three years in its GE Healthcare unit to digitize operations, hire 5,000 more software engineers, and possibly to fund a data analysis acquisition. 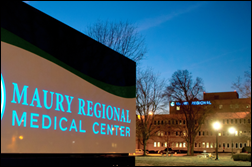 Maury Regional Health (TN) chooses Cerner, which will replace Meditech inpatient and NextGen outpatient. An unnamed customer of Craneware extends its contract. Brita Hansen, MD (Hennepin County Medical Center) joins LogicStream Health as chief medical officer. 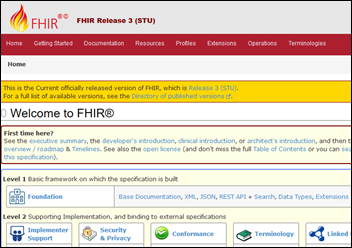 HL7 publishes FHIR Release 3, which expands clinical workflow functionality and supports clinical decision support and CQMs. Qventus expands its AI-powered real-time decision management system to the perioperative environment. 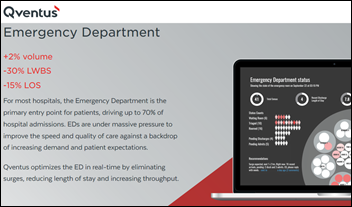 Epic embeds Nuance’s computer-assisted physician documentation into its NoteReader clinical documentation improvement solution to provide real-time feedback to doctors. Health First (FL) goes live with First Databank’s recently acquired Meducation medication instructions systems, integrated with Allscripts Sunrise. USAA Life Insurance Company says it can provide life insurance quotes 30 days faster now that it’s using Cerner HealtheHistory to retrieve EHR information electronically instead of by making manual requests to providers. It works for people who use the patient portals of the VA, DoD, or Kaiser Permanente. Zynx Health and Healthwise will integrate their care plans and patient education content, respectively. Former MedAssets CEO John Bardis is appointed HHS assistant secretary for administration, which oversees business management, the CIO function, human resources, security, and program support. A systems administrator who was fired by an unnamed Pennsylvania healthcare facility after three weeks on the job is charged with criminal hacking over the following two-year period, which he accomplished by using his logon credentials that were not inactivated when he left. The Justice Department says Brandon Coughlin disabled all other administrator accounts, inactivated the credentials of users, tried to buy $5,000 worth of iPads using the organization’s account at Staples, and deleted patient records. The Senate votes to overturn FCC privacy rules that were enacted last year. If the resolution is passed by the House, Internet and wireless service providers will be allowed collect and sell the personal information of their users – including browsing history — to third parties. Half of surveyed HIE executives say EHR vendors routinely engage in information blocking, although the #1 most common form of it they reported is not enhancing their products to support interoperability, which to me doesn’t really meet the definition. Likewise, respondents say the most common way health systems block information is by coercing providers to use a specific EHR. Also confusing is that the survey asked how frequently information blocking occurs, such as the 33 percent of respondents who say EHR vendors block information “occasionally,” whatever that means. Respondents suggested prohibiting gag clauses, assessing interoperability in the field, and creating stronger state and federal infrastructure, policies, and standards. I’m not convinced that HIE executives are in the best position to identify information blocking or to recommend solutions for it, so I’m not finding a lot of value in this research. 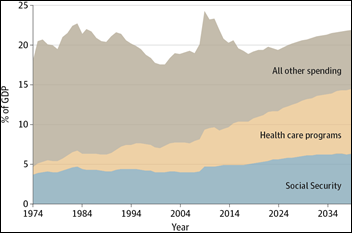 A National Academy of Medicine article published in JAMA says the US healthcare system needs an overhaul, calling out massive costs, fragmented care delivery, and income-based health disparity that has caused the first drop in life expectancy in 20 years. It suggests priorities of paying for value, empowering people, activating communities, and connecting care with digital interfaces. Suggestions specific to interoperability are to use HHS’s regulatory and payment clout to enforce interoperability standards, have HHS sponsor creation of standards for APIs, streamline privacy policies, and push for patients to own their data. From their very first shadowing experience to their first foray in the lab; from high school advanced-placement courses and college admissions tests to grade point averages and the Medical College Admissions Test (MCAT); with helicopter parents, peer pressure, violins and varsity soccer, college rankings, medical school rankings, medical licensing exams, and the residency Match, we never let up on them — and it’s killing them. In India, a cardiologist whose hospital employer had fallen several months behind in issuing paychecks kills himself. In England, a four-year-old boy whose mother had passed out at home presses his mom’s thumb onto her iPhone’s fingerprint sensor to unlock it and then asks Siri for help, which triggers a call to 999 (England’s version of 911) that brings paramedics to revive her. Optimum Healthcare IT CMIO Sheryl Bushman, DO is profiled in American Health Leader. 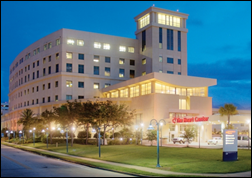 Spok publishes a white paper on the implementation of Care Connect at Parkland Health & Hospital System (TX). Iatric Systems will exhibit at the HCCA Compliance Institute March 26-29 in National Harbor, MD. 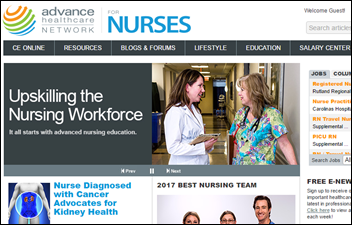 PatientSafe Solutions; PerfectServe; QuadraMed, a division of Harris Healthcare; and Sunquest Information Systems will exhibit at AONE 2017 March 29-April 1 in Baltimore. Intelligent Medical Objects will exhibit at the AMIA Joint Summits on Translational Science March 27-30 in San Francisco. Kyruus will exhibit at ACHE 2017 March 27-30 in Chicago. Liaison Technologies launches an educational microsite to help businesses achieve digital transformation. LiveProcess and Meditech will exhibit at AONE’s annual meeting March 29-April 1 in Baltimore. MedData will exhibit at the HFMA Texas State Conference March 26-29 in Austin. National Decision Support Company will exhibit at the NCCN Annual Conference March 23-24 in Orlando. Netsmart will exhibit at the Texas Public Health Association annual meeting March 27 in Fort Worth, TX. Obix Perinatal Data System by Clinical Computer Systems Inc. will exhibit at the AWHONN Virginia Section Conference March 25 in Fairfax. 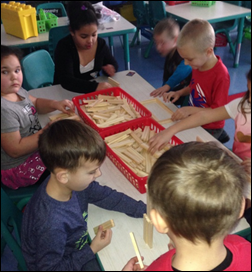 Children’s minds are amazing! Like you Mr. H, I’ve seen SNOMED for years and never thought of spelling it backward. That is pretty dang funny. The only other industrialized country that has seen a multi-year decline in lifespan since the start o the 20th century was Russia after the fall of the Soviet Union. In Russia during the 1990s, it was primarily due to people literally drinking themselves to death on cheap vodka and in some cases other forms of alcohol. Anything that was cheap and readily available. There are so many people, primarily middle-aged men, killing themselves in the U.S. via increased suicides and ODs via various substances that my bet is that you will see the overall lifespan decline again the U.S. It will be a wake up call on just how poorly overall Americans are doing & how bifurcated our country is becoming based on the ultimate outcome metric (e.g., average citizen’s lifespan).